Page : livingLAB team awarded Southwest Detroit / West Vernor Corridor neighborhood vitalization project. livingLAB team awarded Southwest Detroit / West Vernor Corridor neighborhood vitalization project. 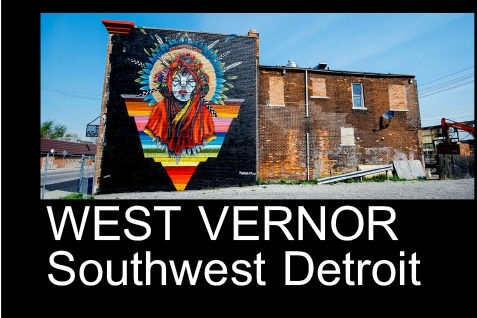 livingLAB’s team, composed of Goody Clancy as prime consultant, Giffels Webster, and Zimmerman/Volk Associates with W-ZHA and Global Detroit serving as subs, was awarded the Southwest Detroit / West Vernor Corridor project by the City of Detroit. The project’s goal is to create a comprehensive neighborhood framework including an implementation strategy for viaduct repairs, streetscape improvements, open space and green stormwater infrastructure enhancements, affordable- and market-rate housing rehabilitation opportunities, and truck route assessments. The project will embrace community engagement throughout the framework process, under the direction of the City’s planning department. A series of public meetings will be held to collect input from a variety of residents and stakeholder groups. This project will advance community planning efforts already underway, and will support future citywide master plan initiatives around Open Space, Historic Preservation, Stormwater Management, and Mobility/ Streetscapes. livingLAB is excited to be a part of such a strong team, and looking forward to continuing our efforts within the City. Read more about the City of Detroit’s planning efforts here. Next - livingLAB measures for Bike Share in Detroit!! !